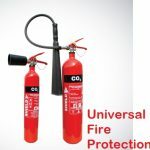 Universal fire protection Provide All types of Fire Extinguisher. For More Please Click below Read More Button. Fire can be a significant threat to your commercial establishment as well as your employees in Pakistan. 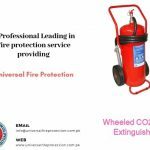 Fire protection can be ensured to you by Universal Fire Protection Co (Pvt) Ltd in many different forms, from fire alarm control systems and fire security equipment to fire extinguishers, CCTV, and fire hydrant systems. we provide offline and online help 24 hours a day. it will require you to keep your fire extinguisher ready to fight every fire related mishap and react to the fire emergency plan deployed in your commercial unit. 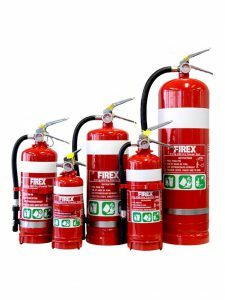 We are a reliable fire safety products supplier catering to the needs of dry powder fire extinguishers, wheeled fire extinguishers, Halotron fire extinguishers, automatic extinguishers, foam fire extinguishers, Chinese fire Extinguisher, water fire extinguishers and CO2 fire extinguishers all across Lahore, Karachi, and Rawalpindi. 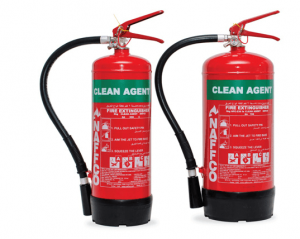 How to get Fire Extinguishers Price in Pakistan. It is a pretty easy way to get a Quotation for requiring a fire extinguisher. Our affordable range of fire extinguishers will never let you compromise the fire safety needs of your commercial facility in Pakistan. Do you need solutions to promptly extinguish the spreading fire before any severe damage occurs in your workplace? Flashing Led lights, fire alarms, and proper signaling can use as the initial measures. We have different kinds of fire extinguishers and fire protection equipment to help you tackle fire emergencies and pass regulatory fire inspections. Be sure to order and use our fire safety products that use either chemical, inert gases, foam or water-based extinguishing agents to suppress fire more effectively. According to Wiki, A fire extinguisher is an active fire protection device used to extinguish or control small fires, often in emergency situations. It is not intended for use on an out-of-control fire, such as one which has reached the ceiling, endangers the user (i.e., no escape route, smoke, explosion hazard, etc. ), or otherwise requires the expertise of a fire brigade. Typically, a fire extinguisher consists of a hand-held cylindrical pressure vessel containing an agent which can be discharged to extinguish a fire. Fire extinguishers manufactured with non-cylindrical pressure vessels also exist but are less common. Dry Chemical Powder Fire Extinguisher is suitable for Fire of Paper, Wood, Cloth, Flammable Liquids, Gases, and Electrical. 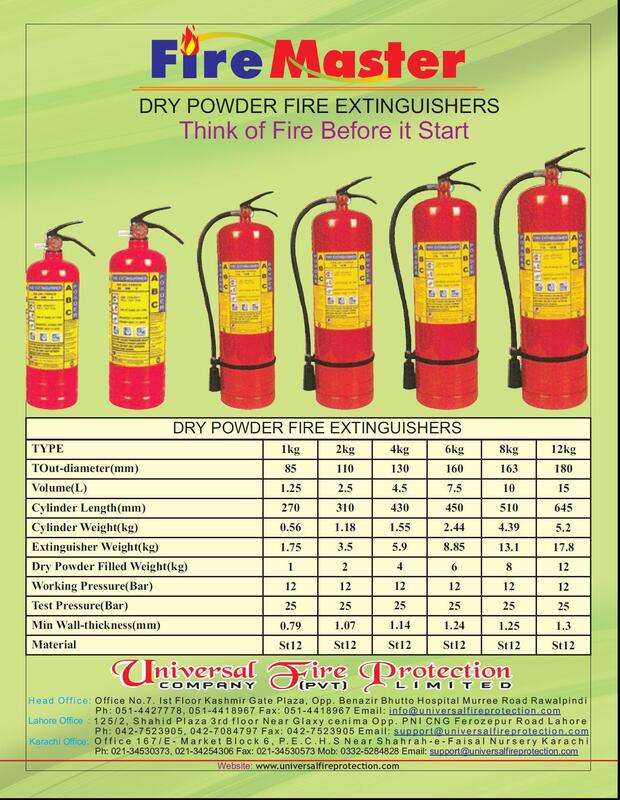 Dry Chemical Powder Fire Extinguisher Available in different sizes and they are highly in demand due to their practical and optimum performance. 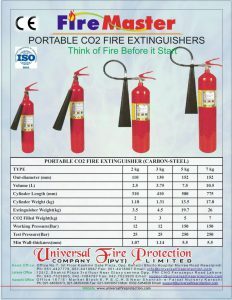 Carbon Dioxide Fire Extinguisher suitable for the fire of Flammable liquids Petrol, Paints, Gases, etc. Also, fire Extinguisher several categorize in different types on the basis of functionality and work.